Sulzer, a Swiss industrial engineering and manufacturing firm, will showcase its latest technologies for nutraceutical manufacturing for the first time at the Vitafoods Europe 2019, to be held next month, in Switzerland. The event will take place from May 7 to 9, at Palexpo, Geneva. The company will showcase its state-of-the art capabilities in mixing and mass transfer. The solutions offered by Sulzer can help businesses to streamline and intensify their processes, boosting product quality and consistency, said a statement. The Vitafoods exhibition addresses the product lifecycle and supply chain of food and nutraceuticals, from raw materials to finished products. The trade fair offers a unique platform to discuss challenges, trends and opportunities within the industry. Vitafoods Europe 2019 will focus on sustainability practices. Sulzer Chemtech, a leader in separation and mixing technology, will contribute to the discussion by showcasing how its advanced static mixing and mass transfer solutions can greatly reduce the amount of waste and off-spec materials produced, consequently minimising raw material use and energy consumption. Mixing and separation processes are crucial in providing high-quality end products, such as dietary supplement formulations or drink mixes. 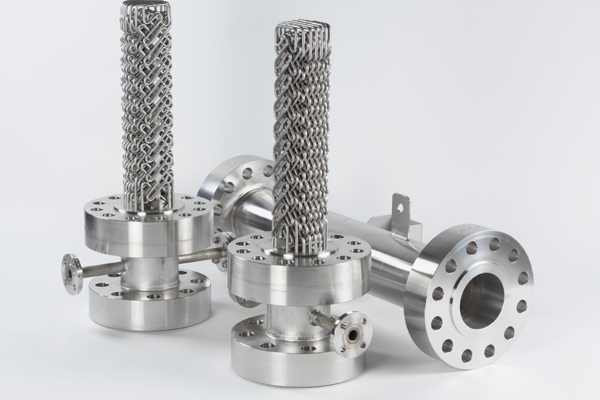 In line with its deep understanding and expertise in efficient mixing and mass transfer of multiple components for processing, Sulzer offers a broad range of static mixers, fractionators and distillation units optimized for different applications. Sulzer can address even the most challenging uses. For example, the company offers specialised mixing systems for highly viscous substances and blending homogeneously immiscible fluids whilst maintaining ingredient stability. In addition, the solutions offered can handle both loop and plug flow reactor models. Sulzer’s wide range of static mixers and mass transfer solutions is developed and tested to ensure optimal performance. In addition to developing state-of-the-art equipment, it is also able to fully customise the solutions to specific plant requirements. At Vitafoods Europe 2019, visitors to the stand will be able to check out Sulzer’s capabilities in mixing applications by having a close look at different elements from Sulzer mixers, such as SMV static mixer with a stack of V-shaped corrugated plates for immiscible phases. Visitors who are interested in Sulzer’s separation technology will also be invited to interact with a 3D model of a real-world processing plant using the company’s augmented reality (AR) application. With the help of the app, users will be able to see how the company’s purification solution works, its key features and how it fits into a facility.